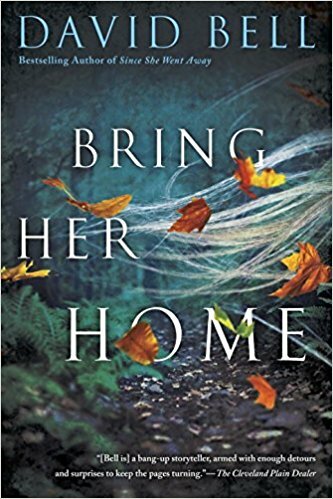 At the opening of David Bell’s newest suspenseful novel, Bring Her Home, readers may think they know where this is headed. Eighteen months after the accidental death of his wife, Julie, Bill Price’s teenaged daughter and her best friend disappear. Summer Price and her friend Haley have been almost inseparable for years. It’s a father’s worst nightmare and intensifies when the two girls are found, badly beaten, in a Kentucky city park. Haley is dead and Summer is so badly beaten, her face is unrecognizable. She might have brain or vision damage. She might not remember who did this to her. As Bill’s sister drives in from her Ohio home, she brings a voice of reason and support to Bill, whose legendary temper often gets the best of him. As the pair keep vigil over Summer in Intensive Care, the investigation heats up and unwelcome stories about the girls and their behavior and company surface. Bill starts asking questions of his own to uncover the truth. But the surprises keep coming, in twists and plot turns that elevate this to a gripping crime novel. Bill Price will have to adjust his thinking about his dead wife, his friends and neighbors, and his own daughter. A layered mystery, filled with emotions that strike as realistic and keep pace with the surprises, this is one of those thrillers that will have readers flipping pages long after the light should have been turned out.